This is famous hardware store in Nishiki Market, "Ari-tsugu". 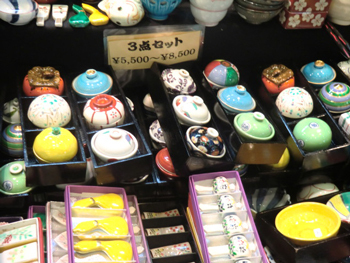 This store is established in 1560,a long-established store. 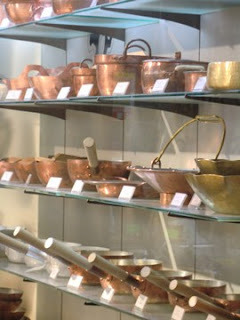 These are copper handmade cooking utensils,like pans with a handle,saucepans,etc. 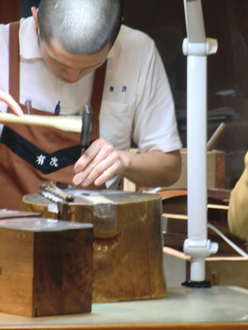 Great deal of labors are needed to make these handmade products. 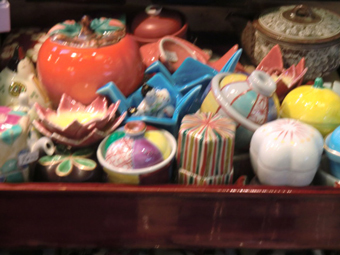 This is a pottery store. 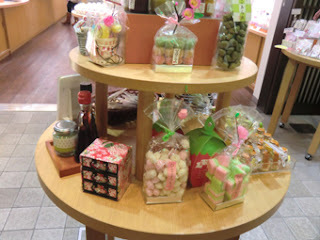 This is Japanese sweets cafe. This is handmade craft doll shop,"Shouki-ya". 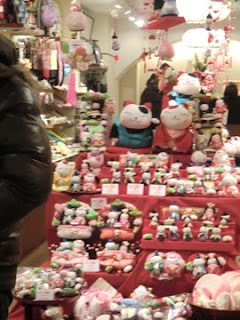 they are the beckoning figure of a cat displayed in shops to bring in customers. In Japan,cats are thought to bring us good luck. 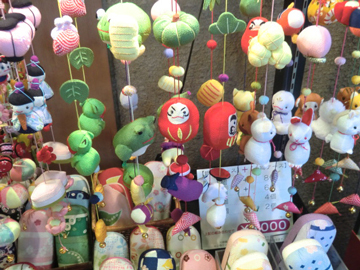 All of these dolls are thought to bring us happiness in Japan. and "Frog" is thought to bring us a long life. 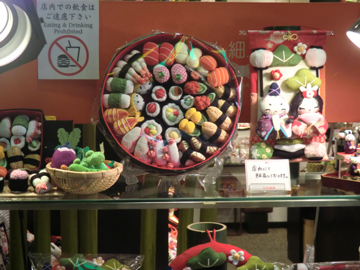 Can you see big "Sushi" crafts? They're elaborately made handy crafts. This is like real sushi. As you see,"Nishiki-Market" is like a treasure island. So please visit and make a lucky find here! then walk for 3 minutes. 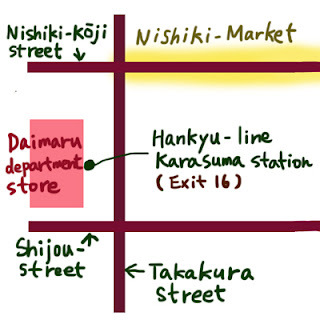 Nishiki Market is located near Hankyu Karasuma station (Exit 16). Amazing, Kumiko! I think the market is like an exhibition, like a show. I guess they always want to entertain the visitors with their utmost efforts. 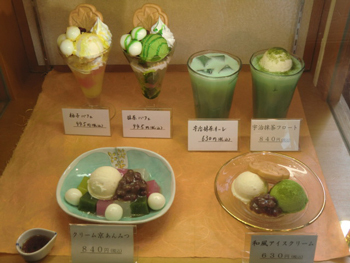 I think it's a good place to know about Japanese food culture. It is an exciting place for everyone,I think. 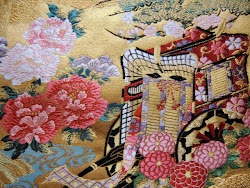 I'm happy if you enjoy my blog. I'll do my best,so please visit again when you have time. Thank you,and have a great day!